This May 28th, Baxters in Foss St begins an exhibition entitled Full Circle featuring Dartmouth artist Simon Hart and gallery favourite Michael Turner who creates fish and sea creatures from metal. There will be a substantial new body of original work from Simon which will be eagerly anticipated by people who have seen his work evolve since his arrival in Dartmouth 10 years ago. 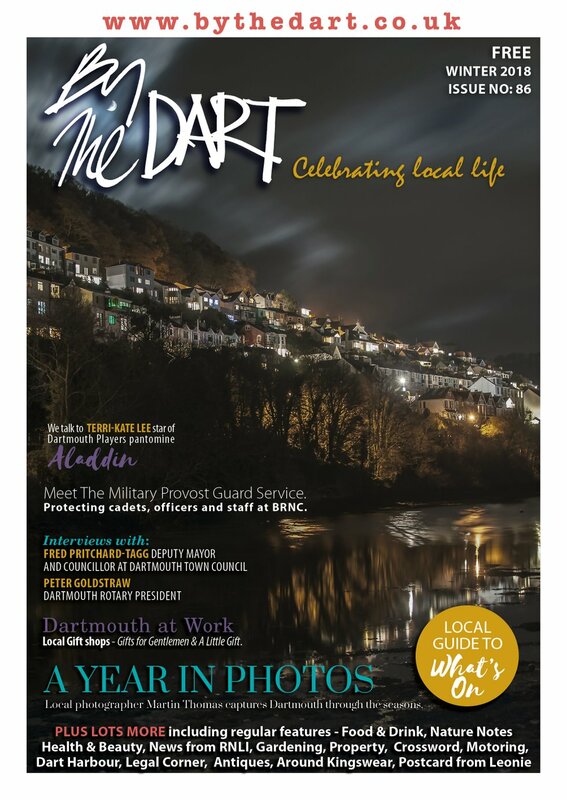 The exhibition coincides with Dartmouth Galleries Week and the evening of Friday 28th is a great time to explore Dartmouth Galleries and see the new exhibitions of work by new and established artists. What is the main focus of this exhibition at Baxters? 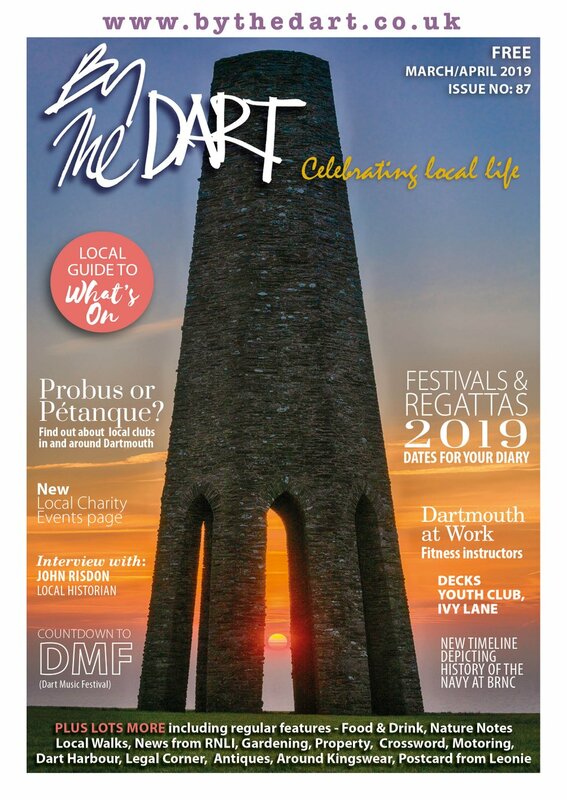 The main focus is the new views of Dartmouth and the surrounding area that I have been working on. It’s been well over a year since I created any work based on Dartmouth. The last time I set myself the task of creating such an extensive collection of paintings of local scenes was when I moved here 10 years ago!! I also see this exhibition as the opportunity to show everyone what I have been up to creatively since selling the gallery over 3 years ago. I have tried some different approaches which have included abstract compositions, new themes, changing colour palettes and textile prints. This first feature exhibition will be worth the wait I promise! You have various techniques you use in your artwork. What can we expect to see in the show and can you explain some of the processes you use? Collage is still the main technique that I use in my work. However, it has evolved with me combining many other processes such as mono printing and typography. Many of the paintings have wonderful areas of pattern and texture created using acrylics, the new illustrations have a graphical element with hand printed letters and fonts and the children’s designs have block-printed areas of pattern on the backgrounds and borders. The exhibition will contain a complete cross section of my work showing the diversity of areas of art and design in which I’m now involved. You are well known for your original collage scenes of Dartmouth. Is there always a new view to see here? It’s certainly harder to find new views, but you just need to discover a different vantage point, a surprise glimpse in between the rooftops or a new perspective from on the river. The colour and light are constantly changing throughout the day, I take a lot of photos and sketches early in the morning before the sun bleaches the colours. You also produced many children’s images in the past. Is this a topic you are returning to? I think you could say that I’m going full circle for this show! I have returned to children’s images once again, designing for greeting cards, textiles and home accessories. My wife, Theresa and I, have recently launched a new giftware company ‘Lovehart’ and it’s been good to think more commercially and work to specific briefs and markets. I think this commercial direction has had a positive affect on my paintings, they’ve become bolder and brighter with more attention to architectural detail. What do you do in your spare time – or don’t you have any?! Spare time, what’s that?! Most of my spare time is spent with family, we try to get out for a coastal walk as often as possible .... you can’t beat being out in the fresh air flying a kite ... I like being in the garden, there’s always something to be getting on with.. 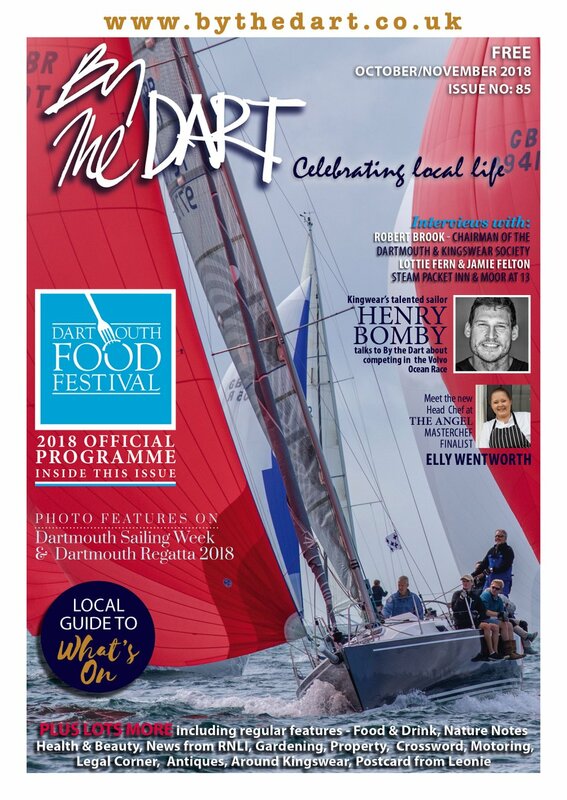 I love racket sports and run the Dartmouth Badminton Club up at the Leisure centre.. and we’re so lucky to have live comedy and music on our doorstep - the Flavel and the festivals in Dartmouth are wonderful.